Chest of Drawers - Edwardian Mahogany Bedroom Suite. Edwardian Mahogany Matching Bedroom Suite circa 1910 comprising Wardrobe, Dressing Table and Chest of Drawers. 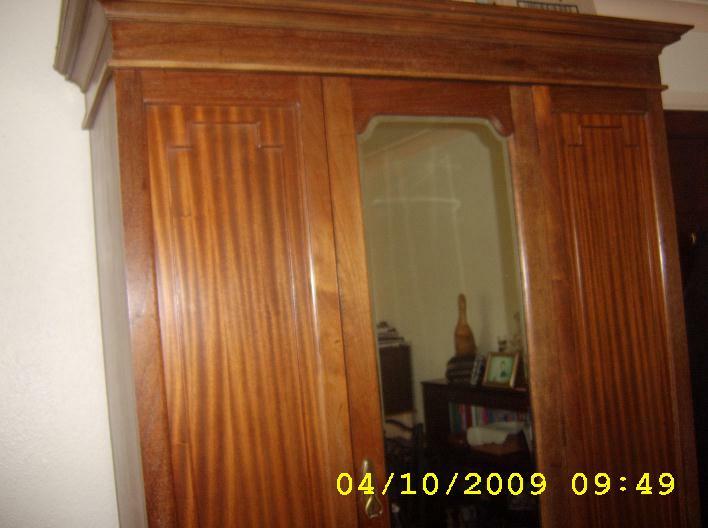 Wardrobe : Single wardrobe with front door containing bevelled mirror (excellant condition) door has original handle and lock with key. Large lockable drawer below with original fixtures. Attractive cornice to top with inset beading to both front side panels. 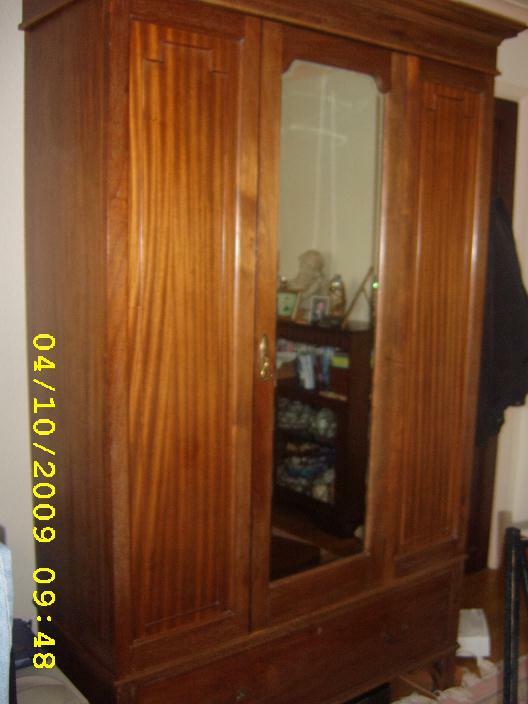 Wardrobe dismantles into three sections. Dressing Table: consisting of swivel bevelled mirror (in excellant condition), two small drawers situated on vanity top. two main drawers at top, with two larger drawers below. All handles / fixtures/ castors are original. Chest of Drawers:consisting of two main drawers at top with two large drawers below matching dressing table. All handles / fixtures / castors are original. Open to offers - WE NEED THE SPACE! Grab a bargain.